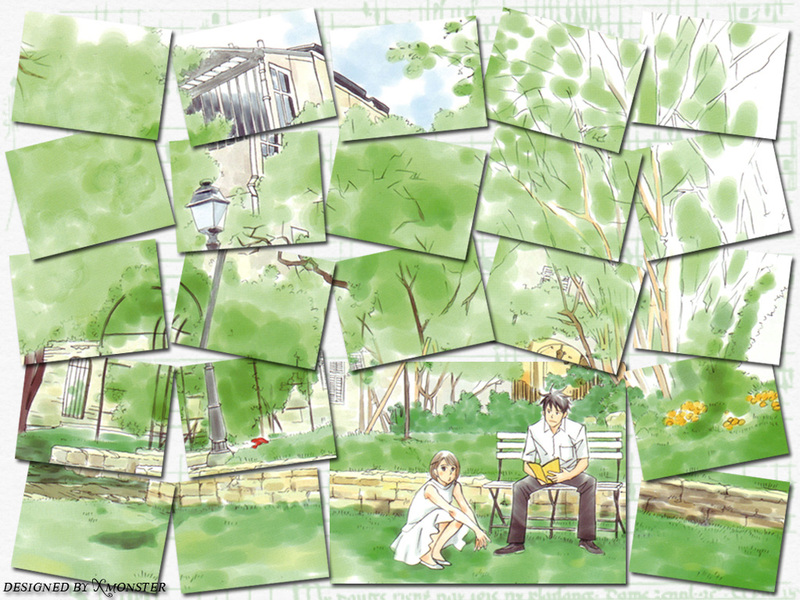 Nodame Cantabile Wallpaper: Violin Sonata No.5 "Spring"
Minitokyo »	Nodame Cantabile Wallpapers » Nodame Cantabile Wallpaper: Violin Sonata No.5 "Spring"
the trick with the "cut" images is one of the earliest tricks I've done with my wallpapers. It's surprisingly simple, but it fits this image of Nodame & Chiaki well, so I decided to put it to use. waaaah! love the collage/mosaic concept. great work!